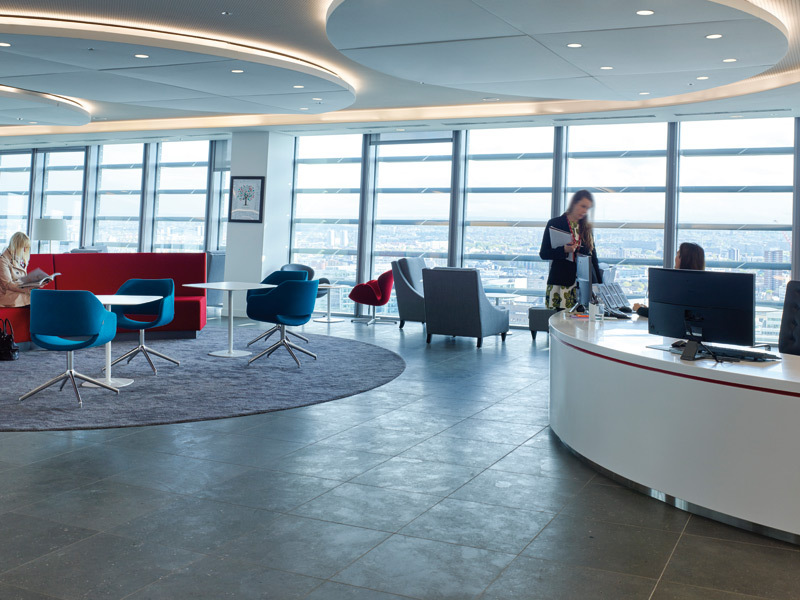 With Allied World, London split between two floors the designers’ challenge was to create a social and agile-working vibe. Whether a trend or cultural shift, workplaces are now seen as co-working spaces, designed specifically to keep people talking -- and sometimes even playing, but ensuring staff interaction proves more challenging when occupying multiple levels of a building. 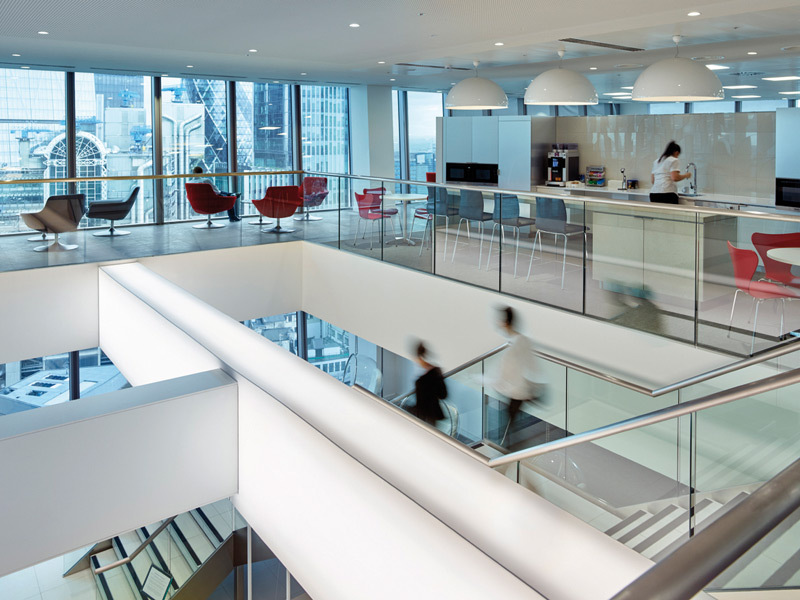 Central to the scheme is a staff cafe located around a stair link, connecting the two levels of offices, which encourages staff to meet and talk with one another -- whether pre-arranged or not. And an emphasis on promoting a 'collegial atmosphere' and an agile work environment across the two floors can be seen by an openplan workspace, which features a mix of highback and soft seating, and loose meeting tables. 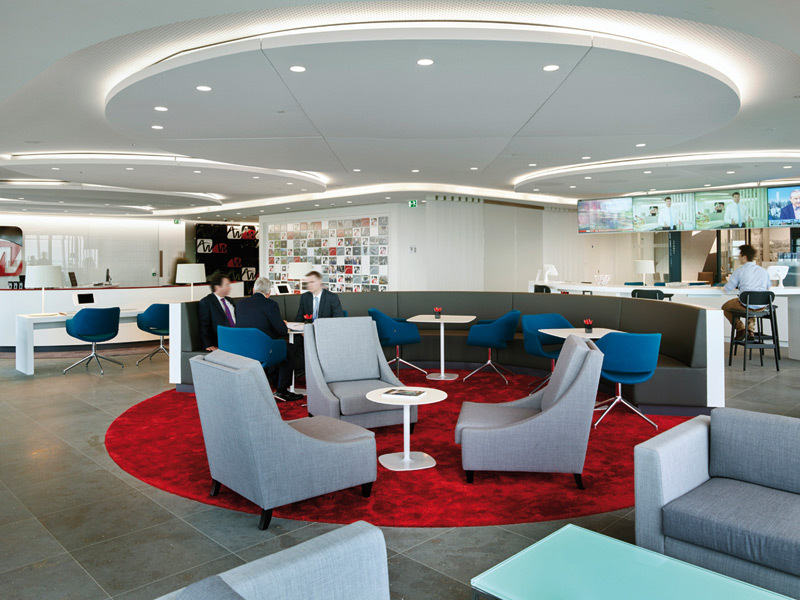 PBP+W has also integrated a series of meeting areas within the scheme; informal breakout areas and traditional meeting rooms provide more reasons for employees to come together and interact. 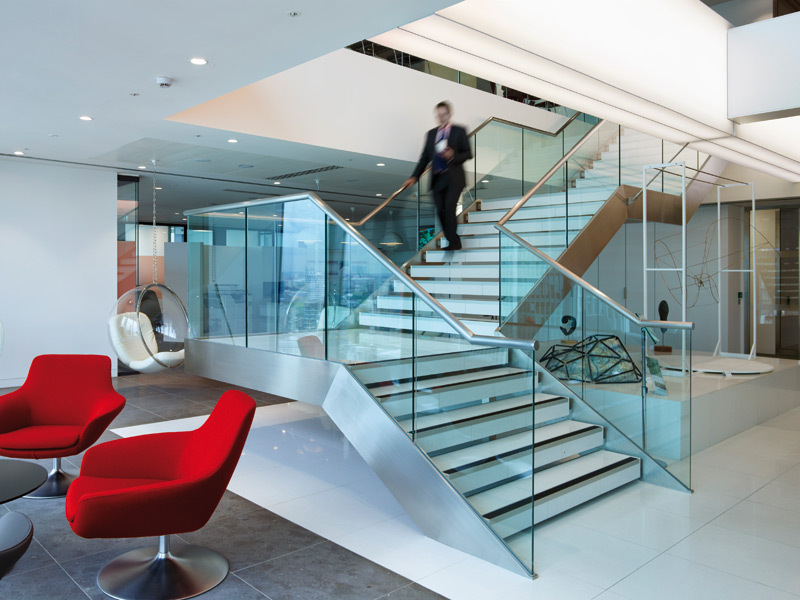 When clients visit the offices, on floors 18 and 19 of the 37-storey 20 Fenchurch Street, dubbed the Walkie Talkie building, the business lounge has been designed to meet a high level of customer service. Featuring a coffee bar, meeting suite and magnificent views of London, this will certainly leave a positive impression on those who use it.